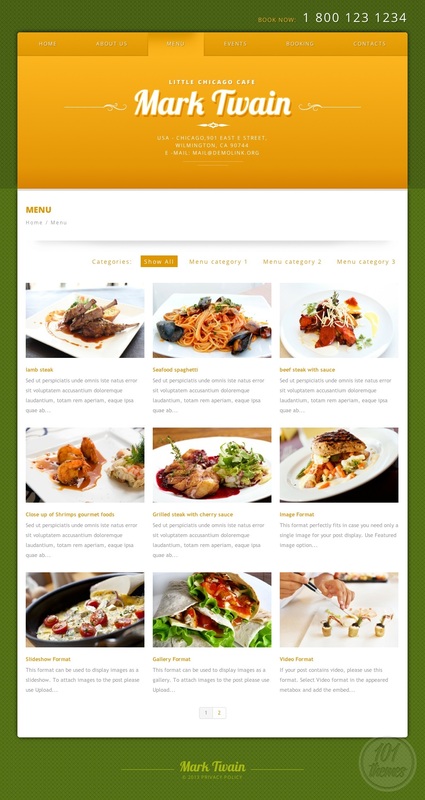 Little Chicago Cafe is a responsive WordPress restaurant theme created by Glenn, and featured at Template Monster. 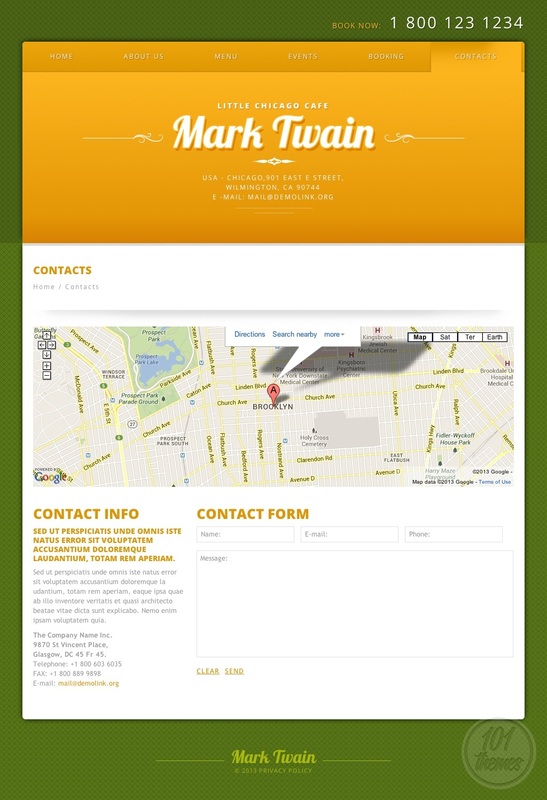 This template features beautiful, lively colors, giving the whole design a nice, fresh, joyful look. With nice shades of green and orange, and clean white space for featuring your content, your visitors will surely be hooked the minute they open your website. 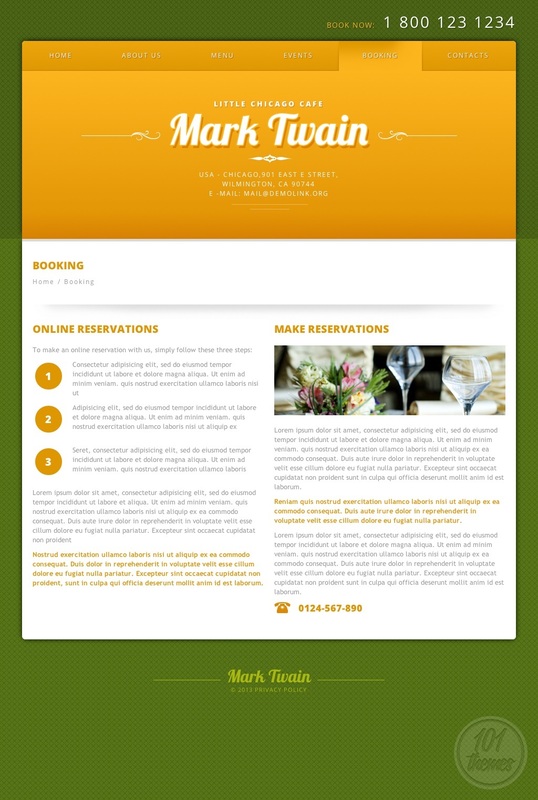 The header looks beautiful, with cute details and nice fonts and this is where you can place the info details of your restaurant, such as address and contact email. You can present various items from your menu in a slider form, and they will be shown in a form of resized photos, with short description and price added to each of them. As they will be linked to your menu page, clicking on any of these items will take your guests to where they can read all about the dish they’ve chosen. Add a cute, catchy phrase right underneath this slider and have it placed in your visitor’s mind for a long time. You will be able to feature various blog posts right under this, and point your guest’s attention to right where you want it, making sure they don’t miss the most important posts you’ve prepared for them. Feature all of your special offers at the bottom of the homepage, and let your guests know all of the services you and your restaurant provide for them. 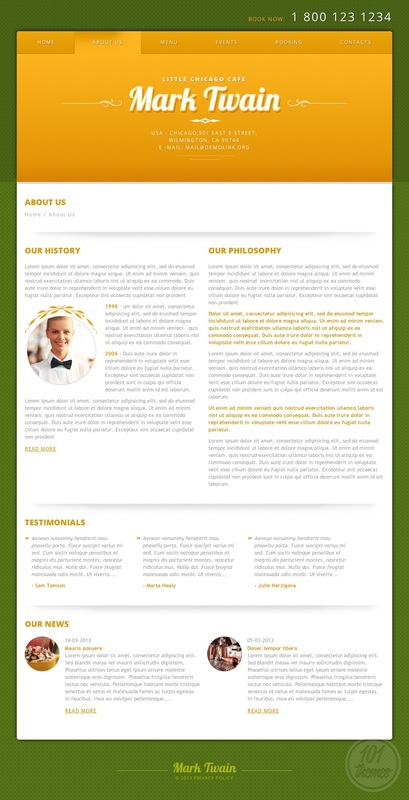 The “about us” section is where you can place all the FAQ’s, archives and also present nice testimonials you got from your customers. The blog or events section is where you can post as much as you want and present anything new that might be going on at your restaurant, and you can categorize the posts so everything looks clean and neat. You can display all of the details regarding reservation and booking in the “booking” section, and there is a contact section featured as well, with Google Maps integration and a contact form. 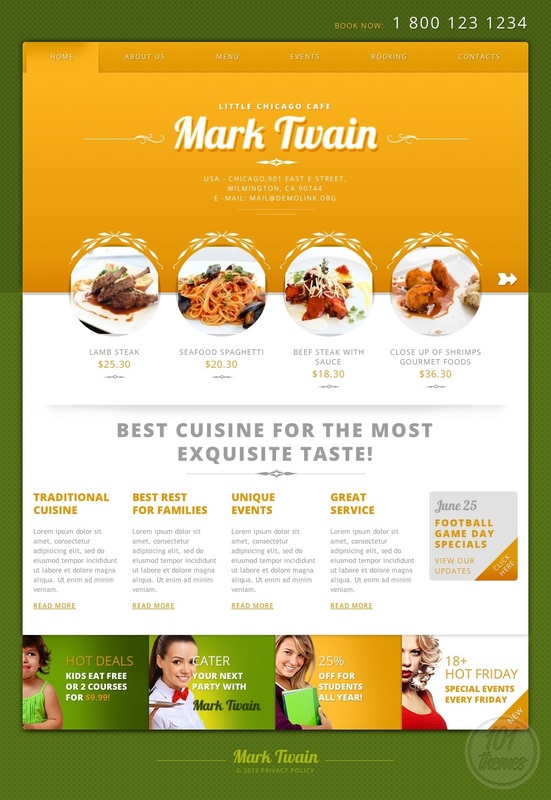 This restaurant theme for WordPress comes with smartphone and tablet layout versions.